The servants take center stage in this irresistibly imagined belowstairs answer to Pride and Prejudice. While Elizabeth Bennet and her sisters fuss over balls and husbands, Sarah, their orphaned housemaid, is beginning to chafe against the boundaries of her class. When a new footman arrives at Longbourn under mysterious circumstances, the carefully choreographed world she has known all her life threatens to be completely, perhaps irrevocably, upended. 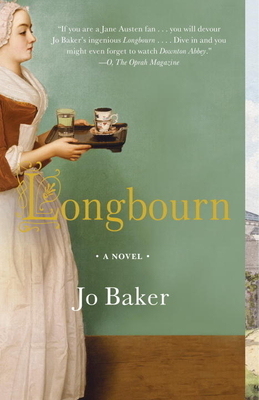 Mentioned only fleetingly in Jane Austen’s classic, here Jo Baker dares to take us beyond the drawing rooms of Regency England and, in doing so, uncovers the real world of the novel that has captivated readers’ hearts around the world for generations. Jo Baker was born in Lancashire, England, and educated at Oxford University and Queen’s University Belfast. She is the author of the novels The Under­tow, Offcomer, The Mermaid’s Child, and The Telling. She lives in Lancaster.